a) On the 8th of May 2016, news came reached the world that Isao Tomita had died aged 84 from heart failure. 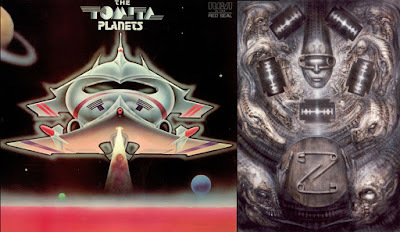 His album The Tomita Planets caught Ridley Scott and Dan O'Bannon's interest as a soundtrack ideal for Alien. 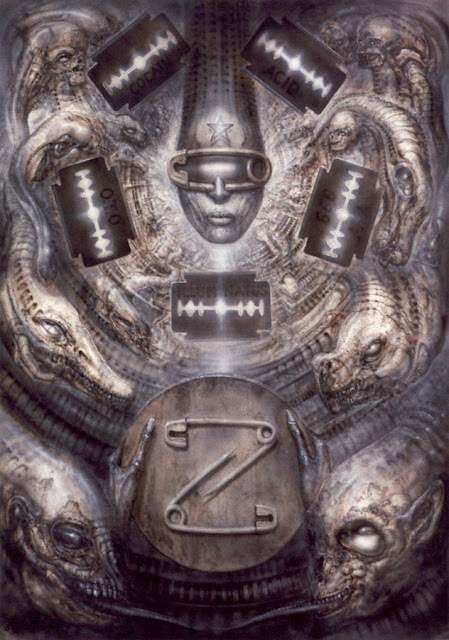 b) Stanislaw Fernandes provided the art for the album cover. 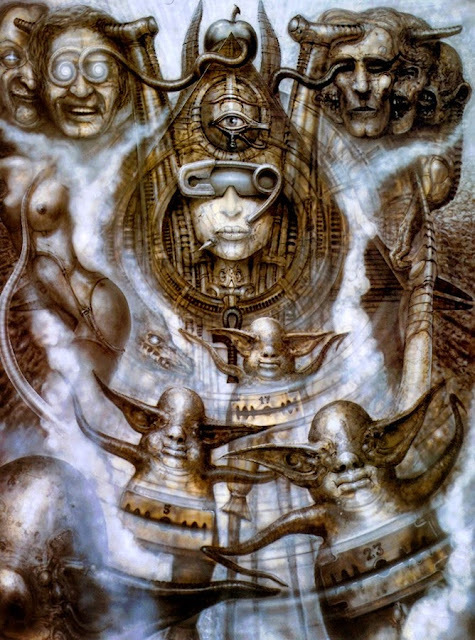 He created a piece which had a symmetrical view of a curious spacecraft against a background of stars an planets. Perhaps it seemed vaguely reminiscent of a Giger painting because of its symmetricality. 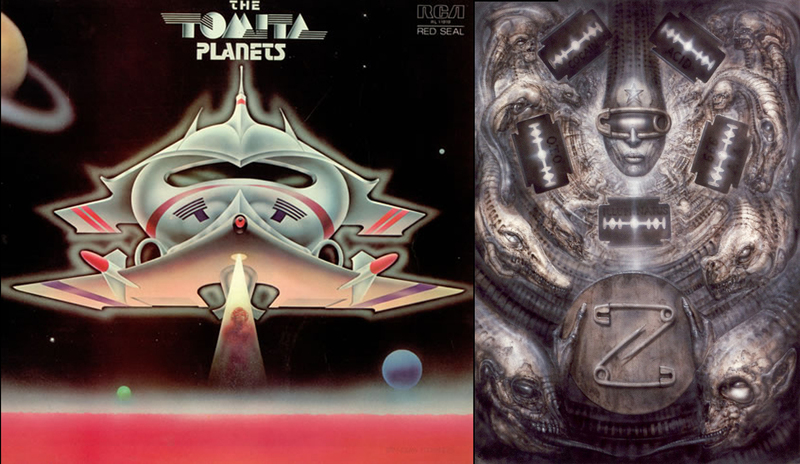 c) I had in the past year thought that album covers of Tomita's work might have been something vaguely inspiring for Giger because of their oddity, and suddenly on the 9th of May 2016, I looked at the album covers and thought that Giger would have liked to have based a painting on one of them. 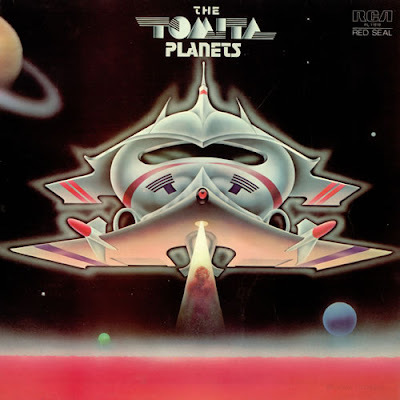 I looked at the cover of Tomita's Planets and thought that this cover would have been something that Giger would have loved to have based a painting on but what would he have done with it.